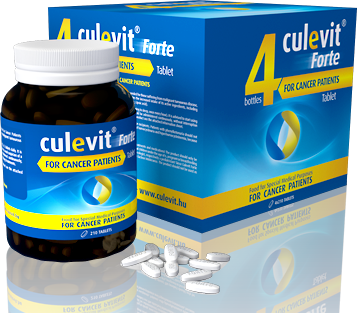 Culevit Forte for Cancer Patients product line is recommended as a food for special medical purposes for cancer patients to supplement and support their conventional oncological therapies. It is advised to start using the product as soon as there is a real suspicion of a tumourous disease. The products should be administered continuously, without interruption before, during and after oncological treatments. 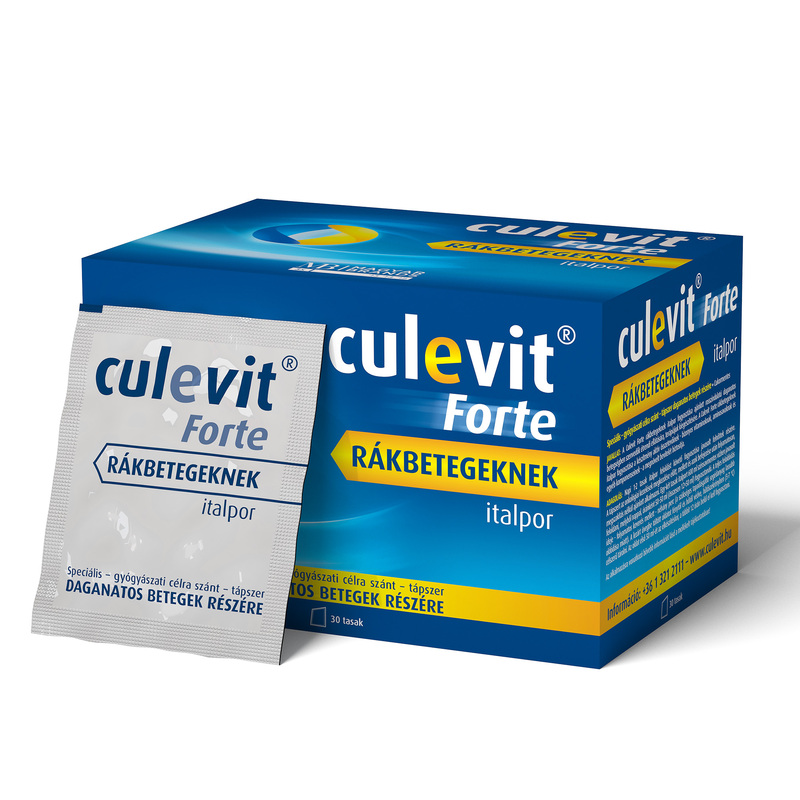 Culevit Forte for Cancer Patients tablet and powder for oral solution are patent-protected Hungarian products manufactured in Hungary in a pharmaceutical plant. The components of the Culevit Forte for Cancer Patients tablet and powder are essential substances that are also present in our circulatory system. The continuous use of these products ensures increased intake of these essential substances. 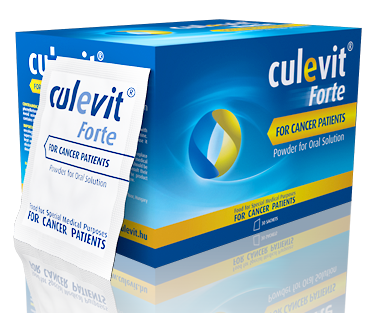 Culevit Forte for Cancer Patients tablet and powder drink does not have side effects and it can be used with the vast majority of drugs - without the risk of unpleasant and / or harmful interactions. Culevit Ltd. was founded in 1993 in Hungary for the purpose of developing products based on the original Hungarian invention by Dr. Gyula Kulcsár. 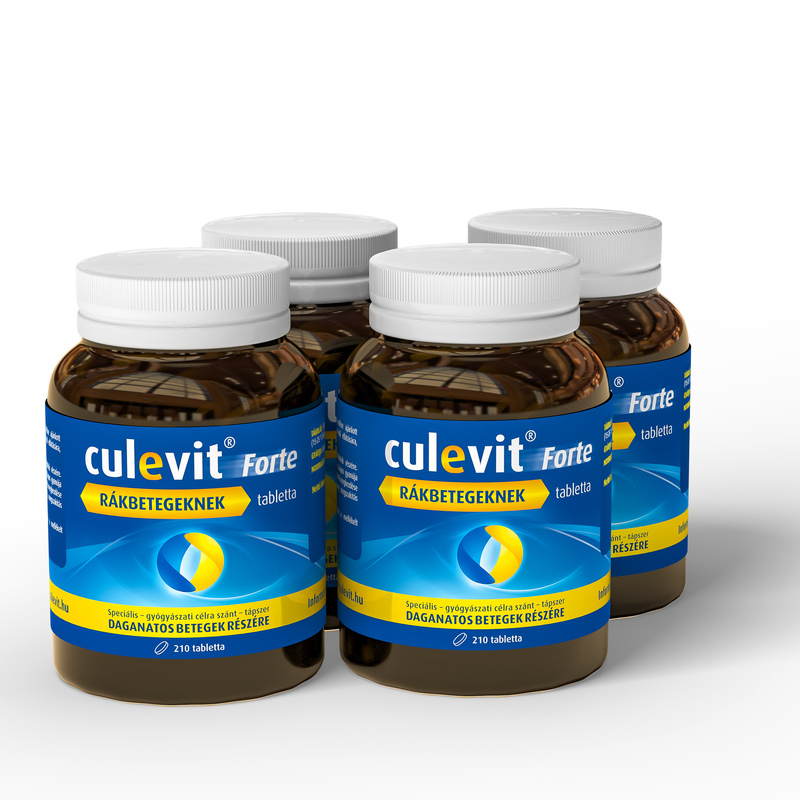 The main objective of the company is to help cancer patients by supplementing and supporting their conventional cancer therapies with Culevit Forte products. The company runs its own laboratory in Hungary with a team of medical researchers led by Dr. Gyula Kulcsár. The Hungarian biochemist Dr. Gyula Kulcsár discovered that in addition to the immune system, there is a special anti-tumour defence in the human body that destroys cancer cells and works independently of the immune system. He identified the specific components of this defence. They are substances circulating in the blood that have many varied functions, (certain amino acids, vitamins, nucleobases, monosaccharides, inter-cellular intermediaries, etc.). The defence works as follows: the cancer cells have a general tendency to accumulate the above mentioned substances in huge quantities, a tendency that normal cells do not have. These substances then cause the self-destruction of the cancer cells through a synergistic effect. The medical significance of the discovery is that by amplifying the amount of the substances of this defence in the body, more cancer cells can be destroyed. In this way the efficiency and capacity of the anti-tumour defence can be enhanced. The inventor Dr. Gyula Kulcsár has published his discovery in a number of international scientific journals. Since the creation of Culevit Research and Development Programme in 1997 several products have been marketed in Hungary. 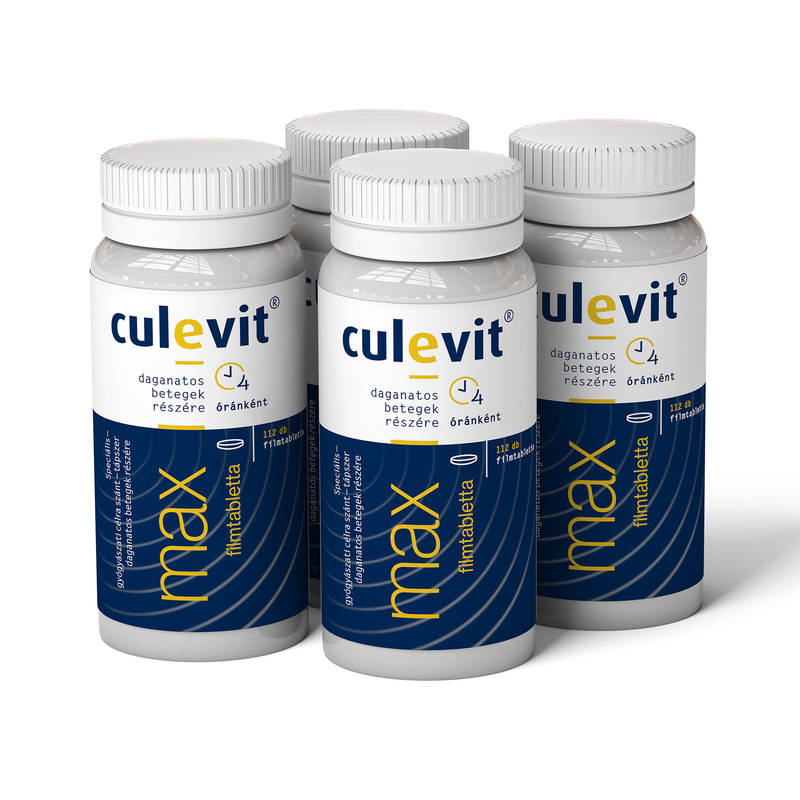 According to the feedback from patients and doctors the results of the experience of consuming Culevit products – as a supplement to conventional cancer treatments – have been highly satisfactory. 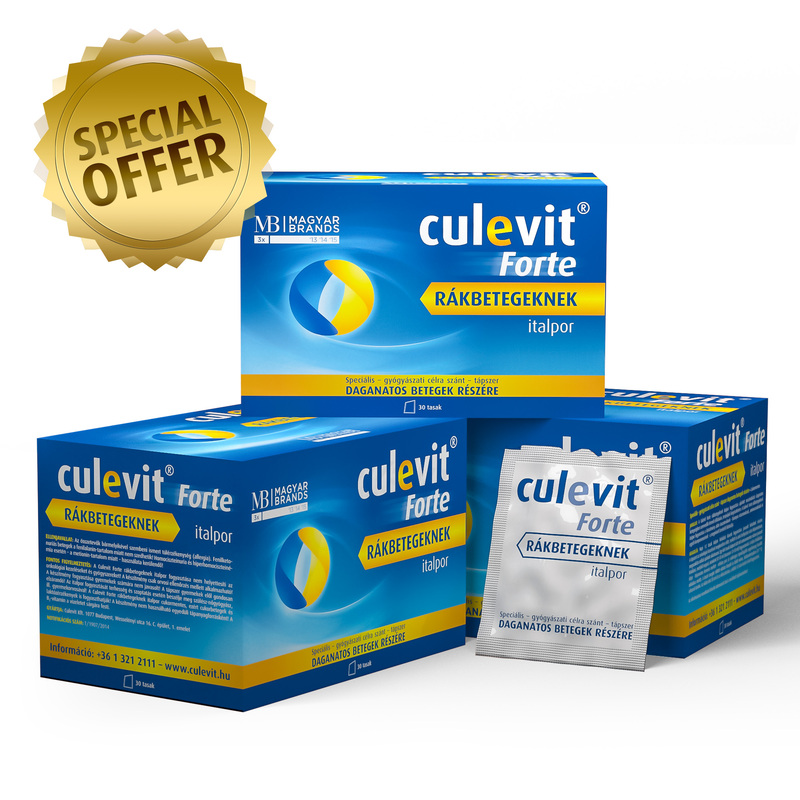 For more information on Culevit Forte products, please visit our webshop.